At a glance, here are all of the books I read. All titles will be linked to my original reviews (unless I haven't written them yet, in which case they're coming soon). Also, I'll make note of whether it was an audio book. And last, be on the lookout for which ones made it into my Top 5 of the year because, you know, those are the ones you should read no matter what. The year had a rough start. I enjoyed most of the book, but the ending RUINED the ENTIRE book. I liked it, but now, almost a year later, I can remember very little about it. With Boyack's detailed plan for how to raise truly independent kids by age 18, this is one of my very, very favorite parenting books. Every time I tell someone about this book, I am amazed all over again that it is a true story. I know it's a science fiction classic. I know it's about books. But I could not wait to be done with it. Outlines a whole new approach to introducing solids to babies without using any purees. I used it with Bradley with great success (mainly because it made me much less stressed about all the whens and whats). All about how Peter Pan became Peter Pan, this book had the perfect blend of adventure, magic, and a great deal of wit. 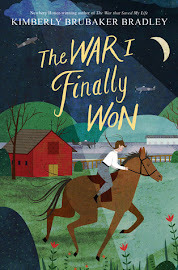 This historical fiction, with events surrounding the Challenger disaster, was interesting. Nothing too memorable but very fun to read. I was intrigued by the steampunk genre, but it was a little too out there (or something) for me. I have no intention of finishing the trilogy. The plot is funny, the lines are funny, the characters are funny. Ralph S. Mouse and his obsession with vehicles was a great choice for Aaron's first chapter book. This book changed my life. Really. I still think about it frequently. The fourth one in a series of culinary mysteries, this one was just as fluffy as the others, but I read it when I was in the right mood for it. Great little story about a young boy's adventures trying to save a dragon. Not my genre of choice but not a bad way to pass the time during a long road trip. 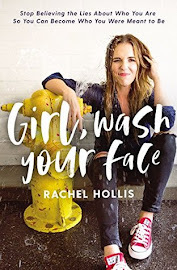 I really enjoyed this story about a feisty teenage girl outwitting all her male counterparts, but there were some things I didn't like about it, too. I feel happy every time I think about this book. Pure pleasure. Gets the award for best leading man. How could I not like a book that tells me the best thing I can do as a mother is read to my children? I didn't like it as well as the first one, but it was still very good, and I would definitely recommend this series to 10-14 year-old boys. I actually can't remember a single thing about this book except that I didn't like it quite as well as My Father's Dragon. Really, really liked this third installment about the Penderwick sisters. These books say "summer" to me like almost nothing else. I enjoyed reading this book from my childhood to Aaron and Max. After reading this one, I decided I'm probably just going to let the boys read the rest of these on their own someday. It was cute, but it was a little juvenile to be truly enjoyable for me, too. Francie may well be one of the best main characters I've ever encountered. And the writing is an absolute treat. This book made me appreciate all the good things in my life just a little bit more. I thought I would like this children's classic more than I did. Some really great ideas. I should already reread it. This memoir was both entertaining and enlightening. It cast America in a new, but not unfavorable, light. I enjoyed this book the second time just as much as when I first read it. I really did love this partly autobiographical story (and Mike did, too). I felt like I was reading a parenting manual written by my own parents. I agreed with practically everything in it. I want my kids to be geeks. I loved Emily almost as much as Anne Shirley. I have not stopped thinking about this book and all the ethical and moral questions it raised. Also, I never thought I would find cell cultures so fascinating. Aaron and I enjoyed this book equally well. A true classic. I'll still go with my original summary: this book is heartachingly perfect. I will never think the same way about ketchup, birth control, or a multitude of other topics. This book validated my introverted personality. I will forever be grateful for it. Not what I was expecting and not what I liked. I thought this story was a bit on the boring side and not all that funny or cute. Really, really great. This was the perfect blend of fantasy, magic, and dystopian. The story was great. The narrator was amazing. 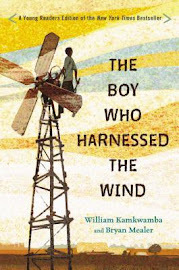 Told from several different viewpoints, I loved this story about a 10-year-old boy learning to overcome his challenges. I should have loved this story, but the writing draaaaaged. Aaron or Max will mention Chester or Harry or Tucker or Mario at least once a week. The writing was exquisite, the plot was captivating, and even now, I get lost in the story just thinking about it. Unlike anything I've ever read before, in a good way. I dare you to read this book and not laugh out loud. Opened my eyes to the subtle flavors of food and the powerful influence of appearance. A strangely sentimental and beautiful story about a girl and her ghost. So fun to see how all the pieces came together in the end. Yummy recipes intermixed with a great commentary about the importance of eating dinner as a family. I didn't know it until this year, but I love Roald Dahl. It has the Richard Paul Evans flavor for sure, but that's what I expected, so I liked it. I don't love dogs, but I loved this book. Everything you would expect out of a Christmas story: heartwarming, tear-jerking, happy. And that's it! Thanks, 2012! You've been a great year! Great post. Thanks for sharing the books and your insight. Thanks for all the great tips. I bought Rebecca right after you first raved about it on your blog. It's in a short line of books I've been trying to read. Silly me thought I'd have a ton of time to sit and read when I had a new baby! Wow! I have a goal this year to read more books (I've fallen out of the habit since high school), and I like quite a few on this list. Hope you meet your goal next year, too! FYI I love your recommendations. :) You're one of the ones I really trust. Okay, after reading your 3 most recent posts I think I just need to call you and go through them line by line- replying here would take much too long. But I can't help myself on a few things which I would definitely elaborate on if I could. #1 Well done, Gordy, gorgeous photo. #2 Hooray! I'm so glad that you loved "A Tree Grows in Brooklyn" and "Rebecca". #3 "Outliers" and the introvert book are on my resolution list from your recommendation and I've added "The Happiness Project" to my "to read" list. #4 In my opinion the first book of the Emily series far outshines the other two and I can't believe you've never read The whole Chronicles of Narnia series. We have it on CD and I would definitely lend it to you if I were closer. Maybe I'll bring it the next time I visit. When we both get better at time management (or worse at time management) I'm sure we'll take a minute to catch up on the phone and I'm sure, as always, I'll forget at least 3/4 of the things I want to ask you after talking your ears off for far too long. Hmmm--I notice some parenting books here!! I've been looking for something for the toddler years but I'm not really sure what (I swore off parenting books after the baby one I read stressed me out even more). Is there one you really like? Dealing with tantrums, encouraging independence, fostering confidence etc? Rebecca by Daphne Du Maurier is one of my all time favorite books!! Here's to another great year of reading! !